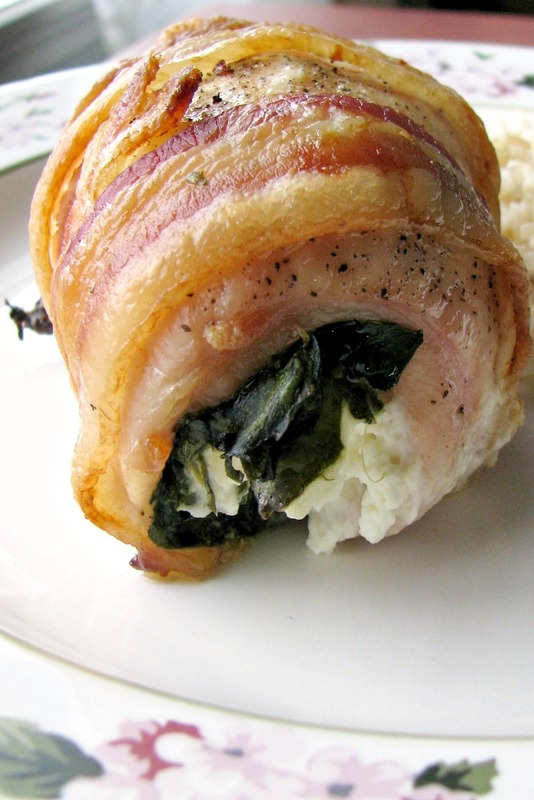 This Bacon Wrapped Cream Cheese Stuffed Chicken is made with chicken breast roll ups stuffed with cream cheese and spinach, wrapped in bacon and baked to perfection. Happy New Year! Yes, I know, it’s already 11 days into 2019, but I didn’t cook at all the first couple days after New Year’s Eve. We had a party and I made a lot of food, way more than I needed to, so we ate leftovers for a few days. On Saturday we went out for dinner so I could have a day where I didn’t use a bunch of pans and dishes so I could try to catch up on them. That didn’t work out so well, since I cooked every day since. 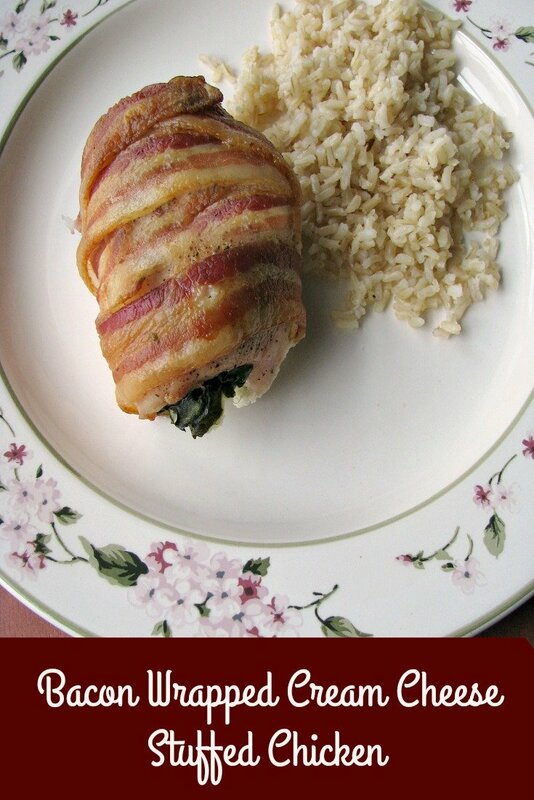 How do you make Bacon Wrapped Cream Cheese Stuffed Chicken? 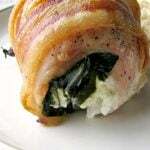 These chicken roll ups with spinach and cream cheese are Keto, filling, and delicious. They are easy to make and ready in under an hour. 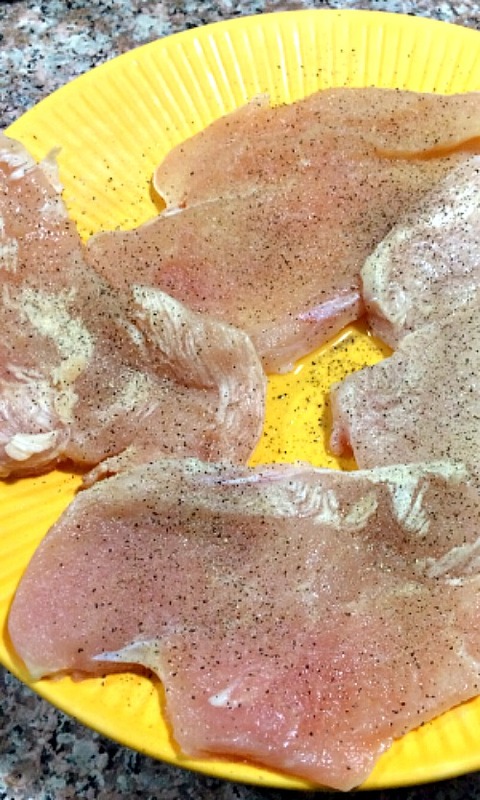 Season thinly sliced or pounded thin boneless, skinless chicken breasts with garlic powder, salt, and pepper. 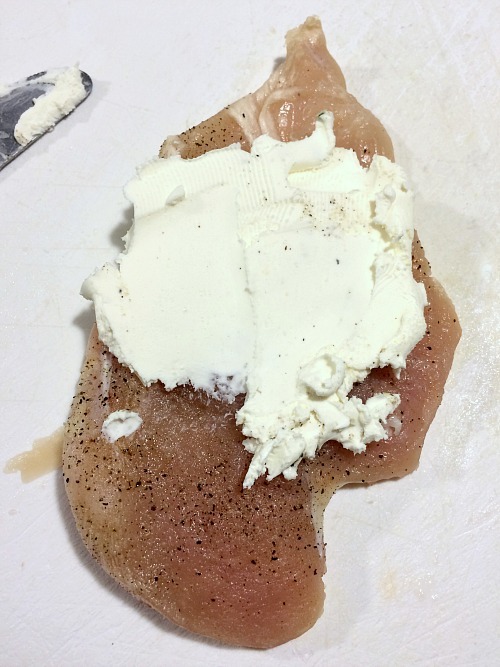 Spread equal amounts of cream cheese onto the middle of one side of each chicken breast. Place equal amounts of spinach on top of the cream cheese. Finely chopped broccoli or asparagus would work as well, or you could leave out the vegetables if you really want to. 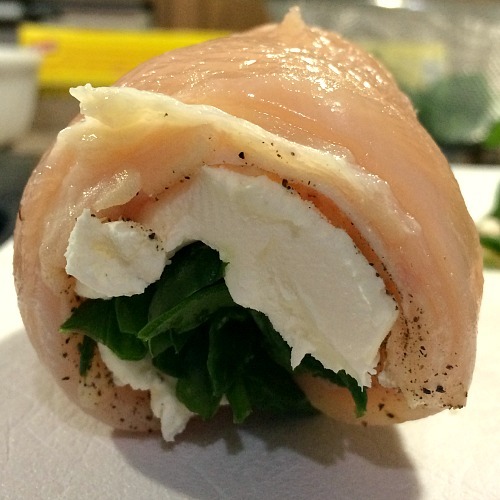 Starting from the top, carefully roll the chicken breast towards you so the end is at the bottom. Wrap each chicken breast with two slices of bacon. Secure with toothpicks before placing in the oven. Bake at 400 degrees for at least 35 minutes. Total baking time will vary depending on the size of the chicken breasts. WANT EVEN MORE DELICIOUS RECIPES FROM MYSELF AND MY FAVORITE FOOD BLOGGERS? FOLLOW ME ON PINTEREST, TWITTER, INSTAGRAM, OR FACEBOOK, WHERE I SHARE NEW RECIPES DAILY. YOU CAN ALSO SUBSCRIBE BY EMAIL TO GET NEWLY POSTED RECIPES FOR FREE! Season the chicken breasts with garlic powder, salt, and pepper. 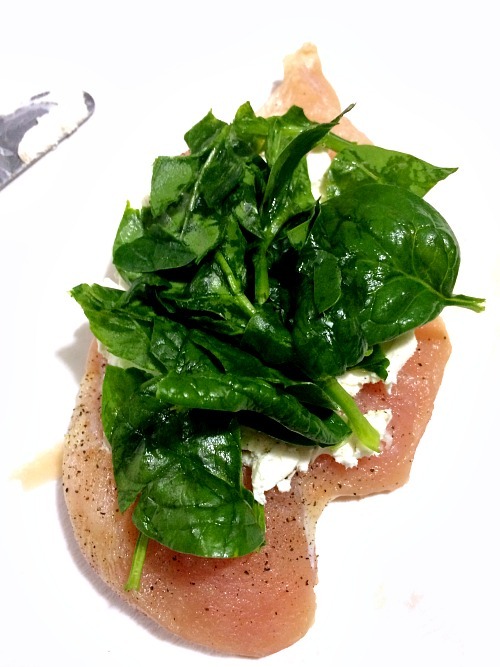 Place equal amounts of spinach (or desired vegetable) on top of the cream cheese. Starting from the top, carefully roll the chicken breast towards you so the end is at the bottom. 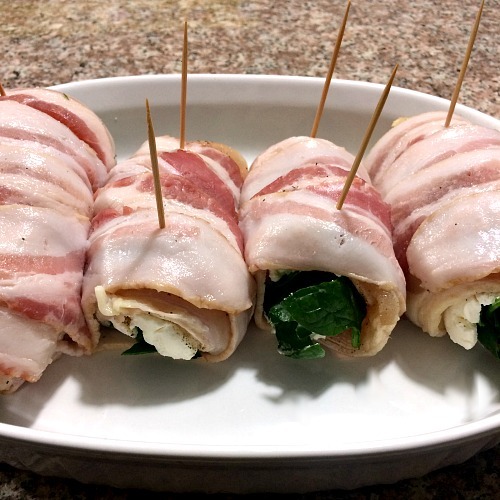 Wrap each chicken breast with two slices of bacon. Secure with toothpicks before placing in the oven. SUBSCRIBE BY EMAIL TO RECEIVE NEW RECIPES AND POSTS WHEN THEY ARE PUBLISHED. YOUR EMAIL WILL ONLY BE USED TO SEND UPDATES. All content, including recipes and photography is copyrighted to Rants From My Crazy Kitchen, and Bernadette Martin unless otherwise noted. Direct copying of material, other than for personal use, is forbidden without prior permission. Stay up to date on all the latest recipes, reviews, giveaways, and more for free!